It is necessary to have a strong team around me now. Someone who can assist in all of the planning and logistics associated with this demanding trip. The body should be in top form, both physical and mental functioning, and a nutrition plan should be prepared. To help me, I have with me some of the best people in the world experience in long, demanding and difficult tours. They have lots of experience, from countless expeditions, both in Antarctica, the Arctic and other cold places. Something they have accumulated over many years. They are well regarded as some of the best performers in the world in exactly these areas, and is widely known outside Norway. The greatest adventurer, today’s most distinguished explorer and a living legend. Arctic explorer with a capital E, no equal. There’s so many ways to present Børge on. He has gone alone to the South Pole and the North Pole, he has crossed the Antarctic and Arctic alone from coast to coast. He has gone to the North Pole in winter, in complete darkness. He has been the first to cross the inland ice in Patagonia, and this is just a small selection of his long list of achievements. Børge is one of a thousand in planning and careful preparation, exercise and proper nutrition. He develops and process equipment, and everything is carefully thought out and proven. Børge has also focused on global warming and the consequences this has on our Arctic regions. He gives lectures around the world. He is engaged as a lecturer for the National Geographic Society. He also started Ice Legacy project with Vincent Colliard, where he will visit the 20 largest glaciers in the world before they melt and disappear. They do this in order to put the spotlight on climate change in the Arctic areas. Børge is engaging as a writer, one recognized photographer, and has received several international awards for his expeditions and movies. He has written a number of books from their trips, and has recently released Expedition Handbook where he shares all his knowledge from his expeditions and a rich actric life..
Børge will help me as a mentor and advisor during the planning and in the preparations for the trip. He is willing to share his knowledge and his experience. Which means that I feel privileged to have this opportunity. He is the globetrotter who has been on countless adventures on the world’s seven continents and the Arctic Ocean. After many Greenland Crossings, and several trips to the highest mountains in the world, Aconcagua, Kilimanjaro and Mt.Kenya, Lars has broad experience from several fields. 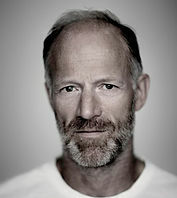 Lars is also known for its Unarmed expedition to the South Pole with Cato Zahl Pedersen and Odd Harald Hauge. 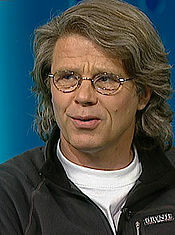 Lars was one of the persons starting Hvitserk in 1997 with Sjur Mørdre. He is now working together with Børge Ousland in Ousland AS. He’s also self employeed as a graphic designer, advisor and mentor. Lars is the man who knows everything you need to know about expeditions. What he doesn’t know he finds out. He has through many years been mentor and advisor to several famous expeditions. Also foreign expeditions calls Lars if they are stuck and needs advise. Lars is the one who works with the logistics on our trip. He is the epitome of good ideas and see possibilities in everything. He clearly says what he thinks, and that is quite excellent. He is a wonderful person, mentor, advisor and inspirer I’ve got in my team. 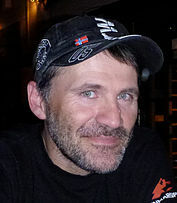 Bengt works as polar guide for Ousland AS. He has guided countless trips across Greenland, the North Pole and the South Pole, and is the regualr guide on the crossing of the inland ice in Patagonia. He has also had several long trips in Alaska and Canada, and has also passed the Northwest Passage. He is also a musher and has participated in many races. Bengt is a journalist for the magazine Friliftsliv (Outdoor Life), and have tested lots of equipment for them over several years. He is rich in knowledge and have waste experience. Having been on tour with Bengt over the inland ice in Patagonia, it was natural for me to think of him as a good advisor in this project. Børge and Bengt the only two in Norway that’s certified as international polar guides. 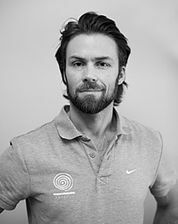 Tore Morten is my Osteopath, and has been for many years. He has extensive experience working with athletes, and has among the world’s top athletes in certain sports as his clients. He has a background as a physiotherapist, and is educated as personal trainer. But working mostly with osteopathy. I am concerned of what the body will endure and what I expose it to, so I’ll avoid overuse. It will be built strong piece by piece, and my whole body must be able to withstand great stress over time. At Tore Morten I have my «service station». He helps me keep my body in order, so it can accept and endure much hard training it’s subduced to..